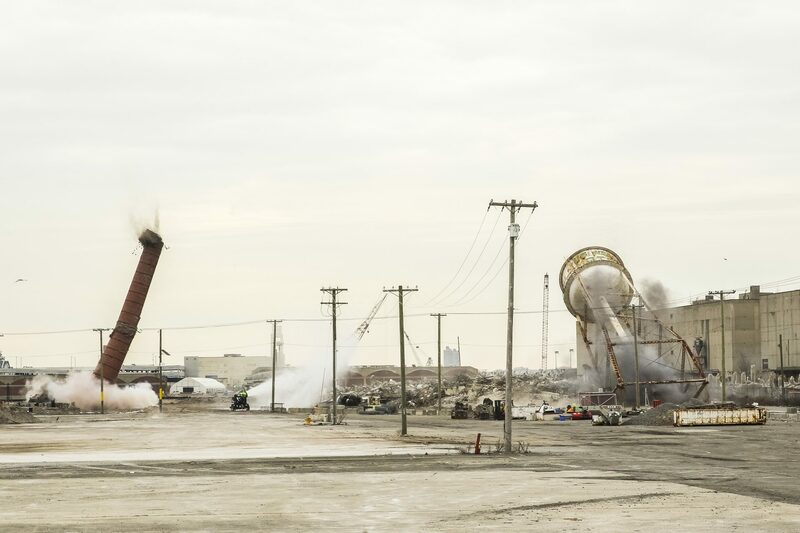 Lincoln Equities Group imploded a 175-foot smokestack and a 150-foot steel water tower to make way for their 1.6 million s/f warehouse project. The 153-acre waterfront property was bought in June by LEG, who have been working on demolishing the existing industrial spaces and concrete foundation since. Before LEG’s purchase, the property was unused for more than a decade. The property, the Lincoln Logisitics Center, is expected to take two years for construction and create 2,700 jobs when completed. Jules Nissim, vice chair at Cushman & Wakefield and advisor to LEG, said the site’s proximity to Newark Airport, New York City and Bayonne’s terminal for Global Container Terminal, would allow the site to accommodate many uses like e-commerce, last-mile delivery, food and retail importing and more.